Nissan has crowned the famous Hollywood star Margot Robbie as the brand Ambassador of its Electric Vehicle division. 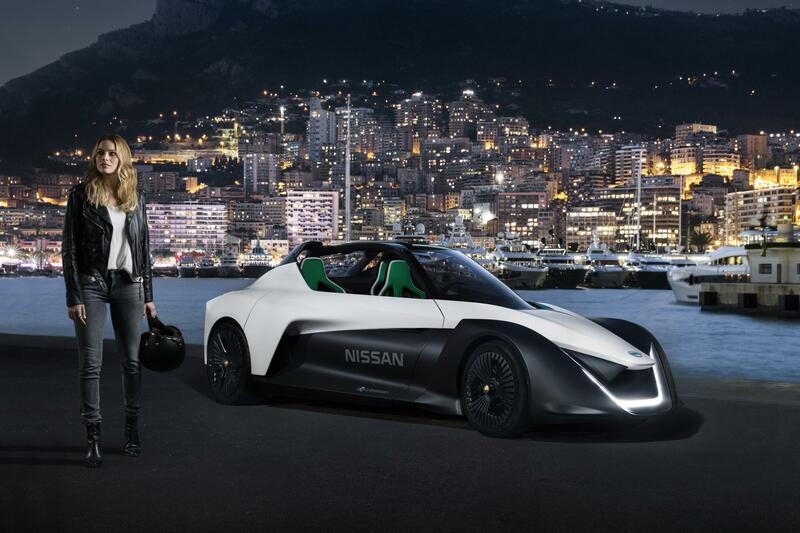 In an official private show at midnight, the Actress rode off the superfast radical Nissan EV, BladeGlider sports car on the world-famous Monaco Grand Prix circuit. However, the Japanese carmaker all set to reveal the all-electric BladeGlider at the 87th Geneva Motor Show, a renowned global stage for introducing latest and innovative automotive creations. The Suicide Squad and The Wolf of the Wall Street actress, Margot Robbie took the radical three-seater four-wheel electric sports car for a midnight spin on the grand prix trek before racing another BladeGlider to promote the electric revolution. Putting the BladeGlider through its paces, in the mini-movie, the glamours actress is also seen demonstrating the drifting expertise of the racing car around the iconic Fairmont Hairpin. On the performance, the BladeGlider prototype has generated the maximum power of 272 PS that thrust the car up to the top speed of 190 kmph. The BladeGlider hits 100 kmph speed from a standstill in less than 5 seconds. With this performance marque in electric segment, the carmaker aims to change the conventional thinking about the electric vehicle. The prototype of BladeGlider is part of Nissan’s Intelligent Mobility vision of how cars should be driven, powered and integrated into society. "The electric revolution is happening," said Gareth Dunsmore, director of Electric Vehicles for Nissan Europe. "As the global leader in electric vehicles, and with mass adoption just around the corner, it is more important than ever that we showcase all of the benefits of driving an electric car – from energy efficiency to sustainability, from handling to performance. Having Margot on board will support us in spreading news of the personal and societal benefits of electric vehicles to more people than ever before."